Melissa Moore. Ph.D., studied anthropology and obtained a master degree in Contemplative Psychology at Naropa Institute, Boulder, Colorado. Since 2005 she has been a co-director and teacher in the post-graduate program of the University of San Francisco. She is a director of the Felton Institute at San Francisco and concerned with the evaluation of psychiatric care of the State of California. E.g., care providers are trained here in mindfulness through meditation practice. 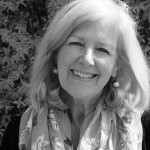 Melissa Moore is one of the founders of Karuna Training in Europe. She lives in Petaluma, California. Paul Cashman, MA, CCS, CGP, obtained a masters degree in Contemplative Psychology at the Naropa University in Boulder, Colorado, in 1978. He later served as faculty member of the program. He has been a clinical therapist and supervisor in addictions for both the Nova Scotia provincial government as well as the Canadian federal government. Currently, he has an active practice for individuals, couples, and families in Halifax, Nova Scotia specializing in emotional and relational intelligence. From the late 1990’s until the present he has been a core faculty member of Karuna Training, a training program in contemplative psychology now in six European countries. He is writing a book on the application of contemplative psychology in the therapeutic context, especially as it applies to connecting with the wisdom within emotions. 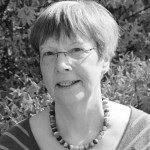 Barbara Maertens, M.A., studied Cultural Education at university (including music, writing, psychology, and philosophy). At present she is responsible for the coordination and quality of the Karuna Training staff. Barbara Maertens seeks to deepen her knowledge and understanding in the field of human mind, communication, and body. She lives in Hamburg. and with girl groups. She also trained them to be more aware of their environment in relation to self-defence. She lives in Stockdorf near Munich. 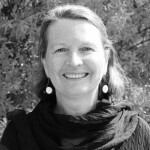 Susan Gillis Chapman, M.A., studied Buddhist and Western Psychology. She works as a contemplative psychologist, couples counsellor and mindful communication trainer. She spent ten years working with victims and perpetrators of domestic violence. Her first book, The Five Keys To Mindful Communication, was published in 2012. Susan Chapman lives in Burnaby, British Columbia, Canada. Elisabeth Fey, M.Sc., studied mathematics and psychology. She was one of the initiators of Karuna Training in Germany. She has a psychotherapeutic practice for adults and children. 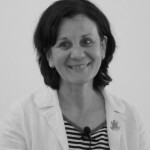 She is associated with governmental institutions and the University of Bielefeld as a teacher of psychology and psychotherapy concerning the education of psychotherapists. She lives in an ecological house in Bielefeld. An van Bolhuis, Ph.D., took her doctoral in social sciences. 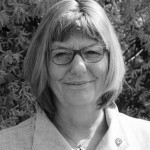 She worked at APS (a national centre for school improvement in the Netherlands) as a teacher trainer, curriculum developer, trainer, and consultant. She was a participant in the first Karuna Training cycle held in Germany in 1998-2001. She was co-founder of Karuna Netherlands, and organized it until 2011. She lives in Amsterdam. Ike Josephus Jitta-Bartstra, M.Sc., is working as a mental health professional since 1988, at first as a physician, and later as a pschotherapist. 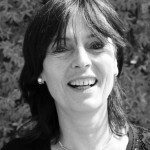 In 1997 she started her own psychotherapeutic practice in Deventer. Ike Jitta enjoyed the first Karuna Training in the Netherlands, and became a co-trainer in 2009. Training (2005-2009) enriched he r life and work. Jan van Bolhuis, M.Sc., studied psychology and is a retired assistant professor in methodology and statistics. Since the 1980s he has been strongly interested in Buddhist psychology and philosophy. 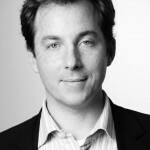 Jan van Bolhuis became a co-trainer in 2009. 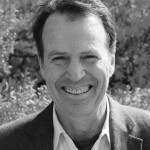 Christopher Tamdjidi is the business director of Karuna Training in Europe. He is a physicist with an MBA education, and worked as an adviser in several companies before he became an independent professional. Presently he is the business director of several organizations (e.g. Kalapa Leadership Academy, and Kalapa Hotels GmbH). He is studying and practicing meditation since 1995. In 2004 he started to conduct seminars in authentic leadership. He initiated a research project “Meditation im Unternehmungsalltag – Auswirkung auf Stressabbau und Resilienz” (Meditation in Everyday Business Life – The Impact on Stress Reduction and Resilience) at the Ludwig-Maximilians-Universität München.